Campers and outdoor adventurers looking for a convenient way to both illuminate their campsite and also keep their mobile devices topped up while away from the grid. May be interested in the new Biolite Bluetooth BaseLantern XL lantern which is now available to preorder in the UK priced at £125. 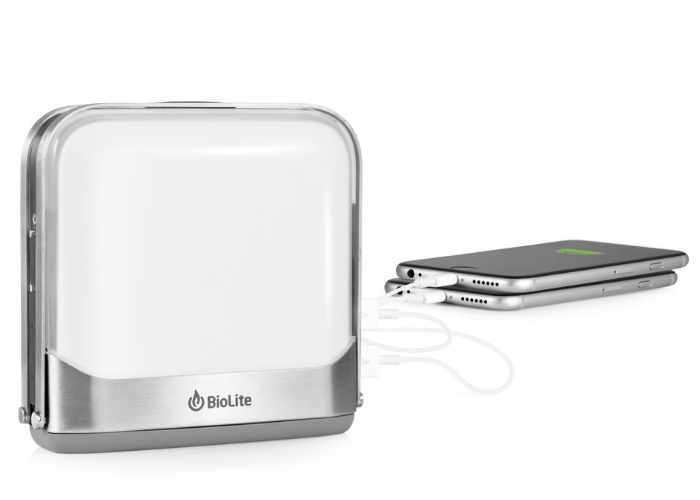 Shipping is expected to take place on May 31st and you can expect the same impeccable quality from the Biolite team as with their other products which all started with the Campstove capable of charging your mobile devices using the power of fire. – Bluetooth Low Energy (LE) App. Complete lighting control, timer, proximity activation, and real-time energy feedback. LE uses barely any power from your phone. Jump over to the official Biolite website by following the link below for more details.